Most audiophiles know that they need a headphone amp to get the most out of the music that they listen to. To the rest of the world, they have no idea what a headphone amp is for and if they even need one. If you know what a headphone amp is and you need one to truly enjoy your music, you’ll also know that there are so many different models on the market that it can be confusing to choose the best portable headphone amp. Worry not! As usual, we did the heavy lifting and testing to discover which the best headphone amps in the market are. We’ve listed them below so that you can make an informed decision. In order to use a headphone amp, you will need a really good headphone. Then and only then can you get the best out of the amp. 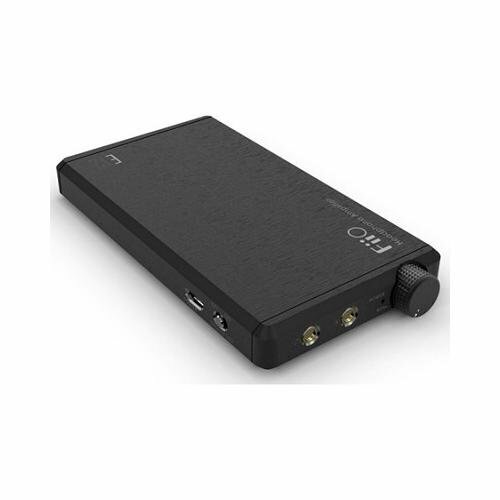 Since every single ohm counts, the right headphone amp will boost the sound quality and performance of the headphones. We’ve compared the headphone amps based on pricing, impedance and weight. All these are factors that affect performance. Most people get headphone amps for 2 reasons. The first is sound quality and the second is power. 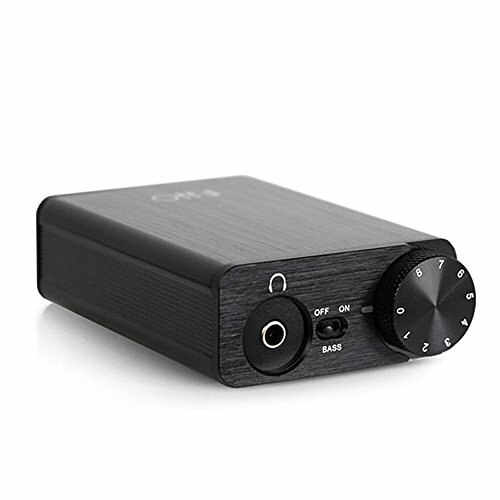 For sound quality, the headphone amp will accentuate the music and make it sound much better. Portable headphone amps need to have power and be lightweight. Unlike desktop amps which are too huge to lug around, the portable ones must be small and lightweight enough to be portable and still pack a punch. The good portable headphone amps can last more than 10 hours at a go on one charge. That makes them ideal for long road trips or international flights. While headphones do provide god sound quality, the listening experience cannot be enhanced through the headphone cables because the headphones don’t have that kind of power due to their small size. You must use an amp to take the sound quality to the next level. Brand. Brand names are important here because this is a niche product. The best amps are made by FiiO and Schiit. You won’t go wrong with their headphone amps. Price. Pricing is an important factor. Just because you buy the most expensive amp doesn’t automatically make it the best amp. FiiO amps are relatively inexpensive and yet their amps are way better than most of the expensive models out there. Your Headphones. The type of headphones you use will determine if you should get an amp or not. Generally, most amps work best with open-back headphones because they need extra power for mastering or mixing. Genre of music. You don’t need an amp if you’re listening to classical music or some Caribbean beach music. Amps are best used for music that has a heavy bass. The amp will boost the bass and you should look for an amp that has a bass boost feature. Like mentioned earlier, this is one of the best amps out there and it features in the “best headphone amp” review lists on many sites. On this site, we are going to rate it as the best amp on the market. At a super light weight of only 2.7 ounces, this is the lightest amp we could find. Despite it being light, it is no pushover in terms of power. Build with a 3dB bass boosting circuit, it is capable of producing heart thumping music. You’ll instantly hear and feel the difference once you turn it on. If you have used the E10, you’ll realize that this model takes things to a whole new level because it utilizes PCM5102 DAC, which is a different chip. Unlike the E10 which used a mini USB, the E10K is made to use a micro USB cable. The clarity, sound quality, bass, warmth, frequency and range that comes from using headphones equipped with the FiiO E10K is awesome. You will be amazed at what you are hearing once you use this portable headphone amp. We ranked this number 2 because it is pricier than the E10k and it’s also heavier. Despite these little downsides, the E12 does have its advantages. Since it’s built with aluminum, it is sturdy and extremely durable. It will be able to resist the rigors of day to day use very well. If you travel often and need an amp that can handle wear and tear, the E12 is the amp for you. While some people feel that the E12 has a deeper bass, our testing showed us that it has a similar bass to the other FiiO models. However, the soundstage did seem broader. All in all, the FiiO E12 might be more suitable for you if you’re rough with your equipment and you want an amp that will last a long time. The biggest downside to the Schiit Magni is its weight. While it only weight 1.4 pounds, it is heavier than both the E10K and the E12 combined. The price range lies between the FiiO sets. The reason these amps are heavier is because they’re capable of up to 600 Ohms and this is twice as much as the FiiO models. This capability allows it to fit a very wide range. The hard truth is that most people do not need such impedance and it almost feels like overkill. Sound quality while good is still lacking when compared to the E10K and E12 which just seemed a little bit better. 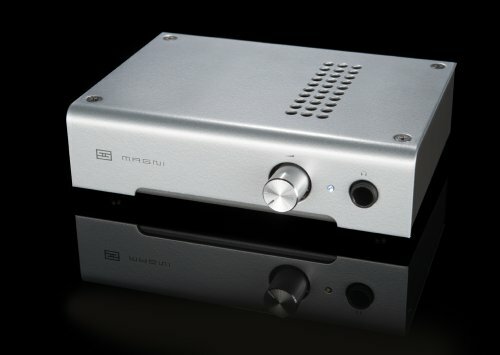 This is Schiit Magni really delivers on those fronts.